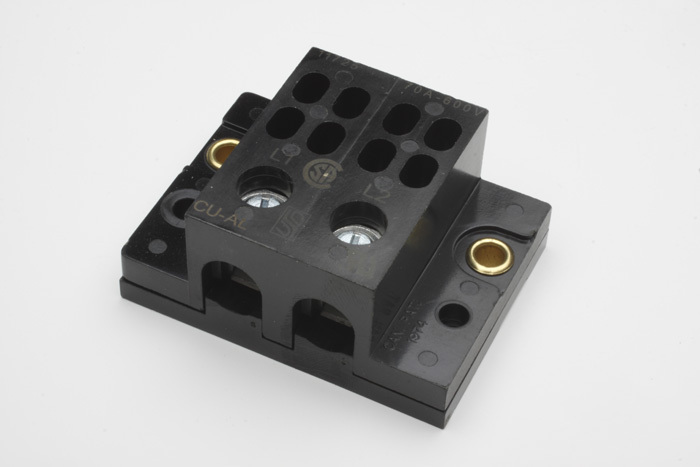 Designed for wire input size between 14 ga to 2 ga with screw down connection. .250", four 1/4" female spade quick connect per pole with two poles. Rated for 70 anp ct 600 volts. Block measures 1 7/8 inch long by 2 1/2 inch wide by 1 3/16 inch high.